When you get to Sentosa Island, you’ll be shocked at the staggering number of attractions on this incredible man-made island. There’s so much to do on Sentosa that you’ll have to dedicate several days just to properly explore and enjoy this place. 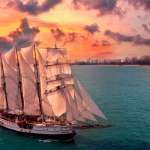 There are fabulous attractions that are best for young kids and great attractions for grown-ups and older kids. There’s a bit for everyone in the family at Sentosa Island, which is why it is one of Singapore’s best all-family theme destinations. Sentosa is an island resort that’s located off Singapore’s coast. You can reach it by boat or via the cable car from Mount Faber. The Singapore cable car is part of the fun you’ll have at Sentosa. It takes you from Mt Faber or Harbourfront all the way to Sentosa Island. The views are simply fabulous and you can actually enjoy a romantic dinner on the cable car if you like. Sentosa is visited by about 5 million people a year. 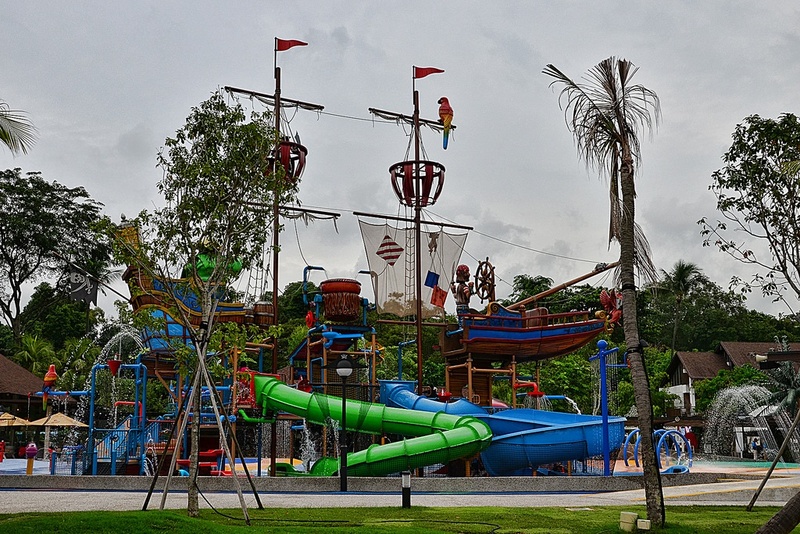 It is an uber-modern, high-class resort facility that is full of fun attractions for the entire family. At Sentosa Island, getting around to the various attractions is easy. There are buses, monorail and beach trams that’ll take you anywhere. Your ticket price includes the price for as many rides as you want to take within Sentosa. Sentosa may not be huge, but it has more to offer than you’d expect. Here are 15 attractions you have to check out, especially if you’re visiting for the first time. Pro tip: Set aside a few days to fully explore the place. 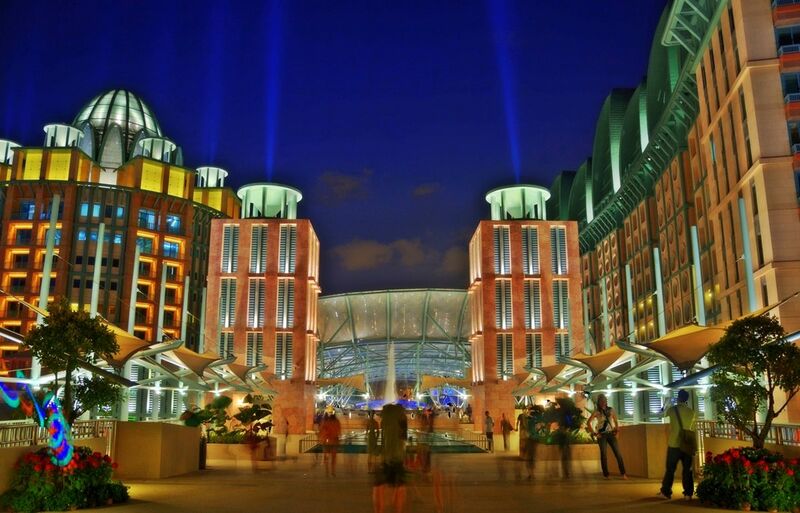 Resorts World Sentosa is the first attraction you’ll notice when you arrive from mainland Singapore. Resorts World Sentosa is home to a casino, several hotels, restaurants, retail outlets, food courts and more. This is where you get your fun if you’re a grown-up. It’s a lively place full of folks who want to have a good time. Resorts World Sentosa puts on shows, concerts, and free light shows in the evenings. While S.E.A. Aquarium is located within Resorts World Sentosa, it offers something so different we feel like we should mention it on its own. Noted as the world’s largest aquarium, S.E.A houses over 100,000 marine animals belonging to 800 different species. Beautiful glass tunnels go under the sea; you’ll have to walk through the tunnels and be surrounded by exotic marine life. There’ll be fish above you and below your feet. There’s also a Touch Pool for kids as well as massive displays of aqua life. S.E.A. 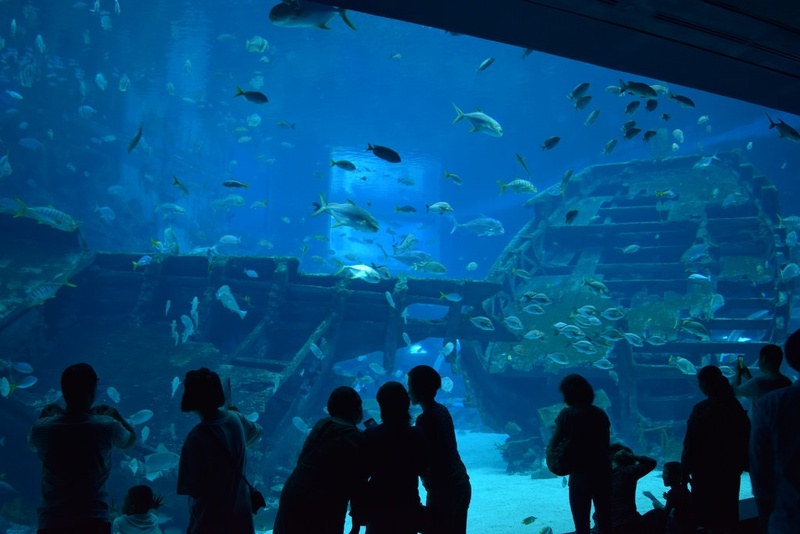 aquarium also has lots of activities for children, such as jigsaw puzzles, informative displays of marine life and so on, making it the perfect attraction for a family outing. Visiting the S.E.A. Aquarium is definitely one of the best things to do in Sentosa, Singapore. Here you’ll find tons of water slides, wave pool, the Splashworks water-based obstacle course, kid water play areas and more. 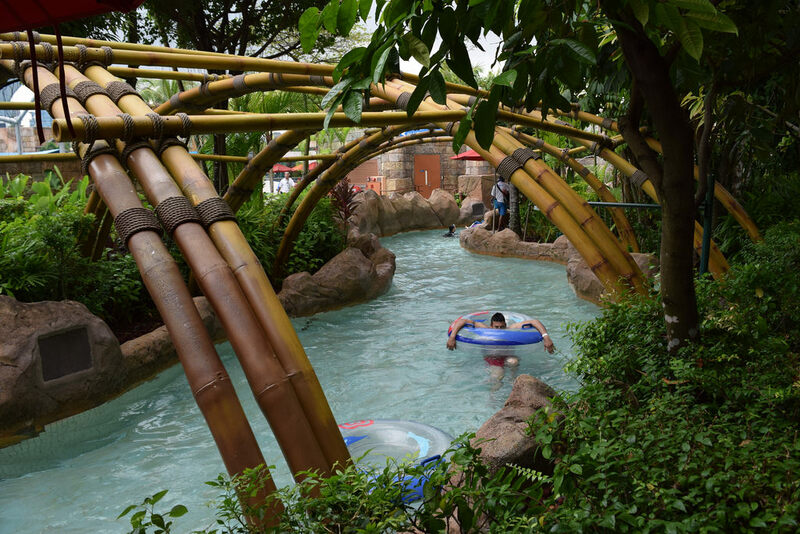 When you enter, you can opt to jump straight into a tube and ride around Adventure River. The river takes you around the waterpark, stopping at many themed zones, and through caves and an underwater tunnel. Within the waterpark there’s a Dolphin Island Marine Life Park; you can get into the water and wade with sting rays and play with dolphins. There’s also a Rainbow Reef where you can snorkel with many colourful fish. 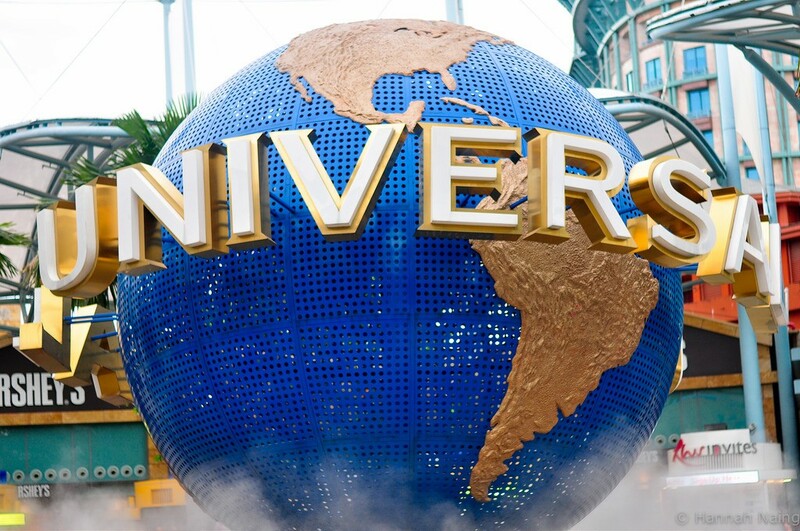 Universal Studios has seven themed sections, each with innumerable rides and shows, all based on major hit movies. Stroll down Hollywood Boulevard and you’ll feel as though you’re in L.A. The New York area is based on the city of New York; here you can get your photo taken with movie stars such as Marilyn Monroe. Then there’s the Sci-Fi City featuring a pair of the tallest intertwining roller coasters in the world. There’s also the Ancient Egypt where you can enjoy the Revenge of the Mummy ride – one of the most fun and thrilling rides at the Universal Studios Singapore. If you don’t fancy so much action and want something that’s educational to bring your children to, consider the Butterfly Park and Insect Kingdom. It consists of three different areas; there’s a bird aviary, a butterfly aviary, and a museum that houses many creepy crawlies. Kids love to have bugs and insects crawling over them. 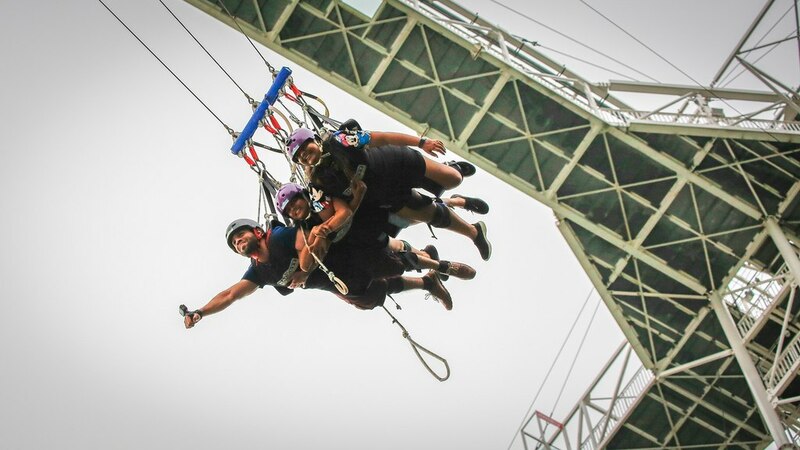 The world-famous adventure company, A J Hackett has set up in Singapore, with a fabulous 50-meter tall bungee jump on Siloso Beach. Thrill-seekers can also drop down from a great height on the Giant Swing. 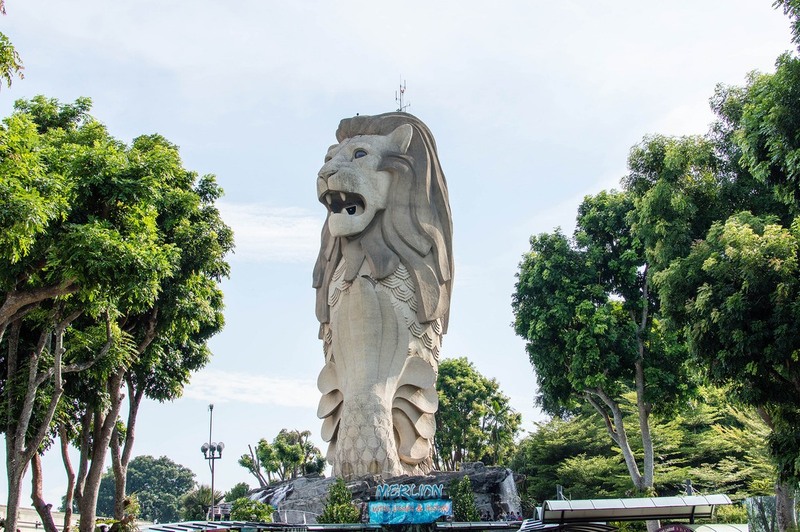 The Sentosa Merlion is a structure that’s 37 metres tall. The Merlion is said to guard and protect Singapore’s prosperity. Be sure to collect a few ‘prosperity’ coins at the Merlion and ring the prosperity bell. You can climb up the Merlion and look out to the rest of Singapore from the Merlion’s mouth. 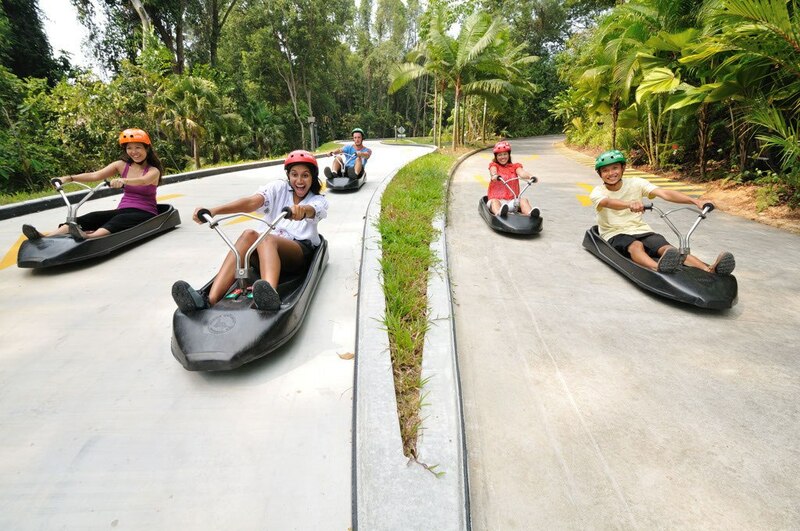 The Skyline Luge is a luge ride from Imbiah Lookout down to the beach. On your trip back to the top, you’ll be on a chairlift ride that comes with steering and brakes, and is safe enough for kids to take if they are accompanied. The chair lift back to the top is a great way to get some cool views of Sentosa Island. Enter the world of 4D at Sentosa 4D Adventureland. 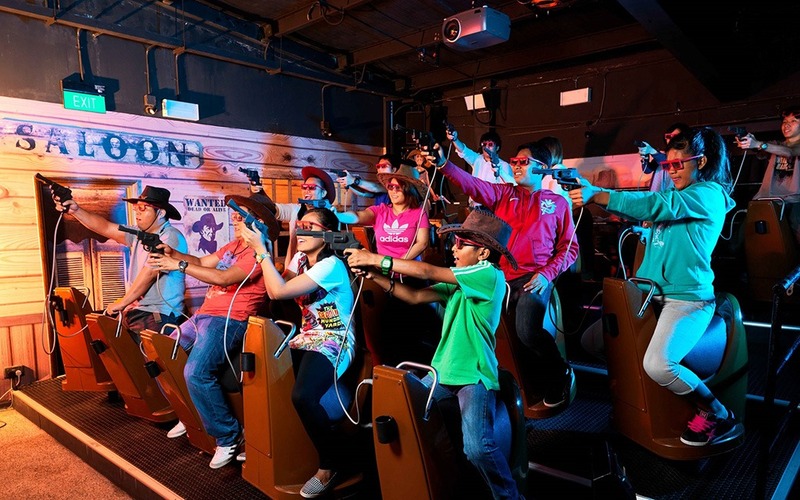 Here you can enjoy a 4D movie, ride a 4D roller coaster, and play a 4D interactive shooting game. The roller coaster is generally manageable for young adults and grown-ups but can be a little intimidating for young kids. 4D Adventureland can keep you thrilled for days. Now known as Palawan’s Pirate Ship, the Port of Lost Wonder has a huge boat that has little water slides, stairs, ropes, ladders, and a wading area. Kids can clamber up and down and play pirates to their heart’s content. The area also contains grassy areas, lots of tables and chairs, a restaurant, plenty of fun activities and an indoor toddler area. 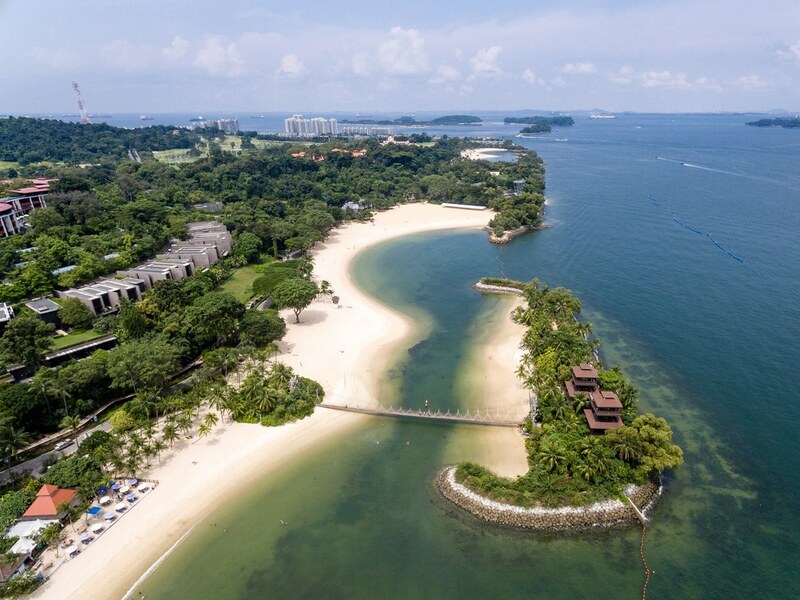 Sentosa offers three beaches – Palawan, Siloso and Tanjong. Each beach is specifically marketed to different groups. For example, Palawan is for families; Siloso Beach is where people come to surf, parasail and banana boat. 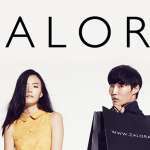 Tanjong is where couples head to, for some romance. Be sure to factor some time in for Sentosa beaches in your Singapore tours. 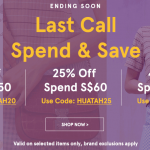 At Fort Siloso you can see artefacts and dioramas that describe the Japanese occupation, life as prisoners of war, and finally, the Japanese surrender. You can also do some combat laser shooting here battling mechanical soldiers in a tunnel. 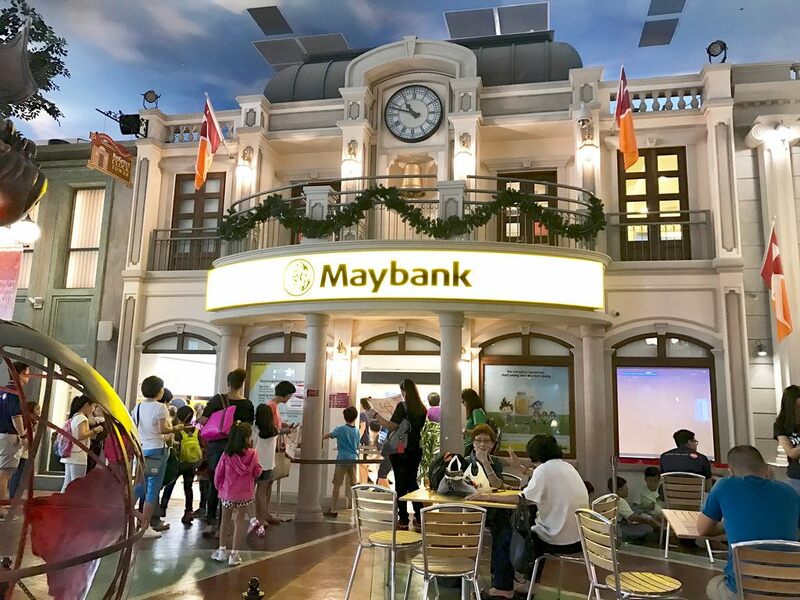 KidZania Singapore is an indoor little town done up in kiddie size. It’s the best place for any kid to learn how to role play and understand grownup duties and responsibilities. Wave House Sentosa satisfies the surfer’s urge for the perfect waves. 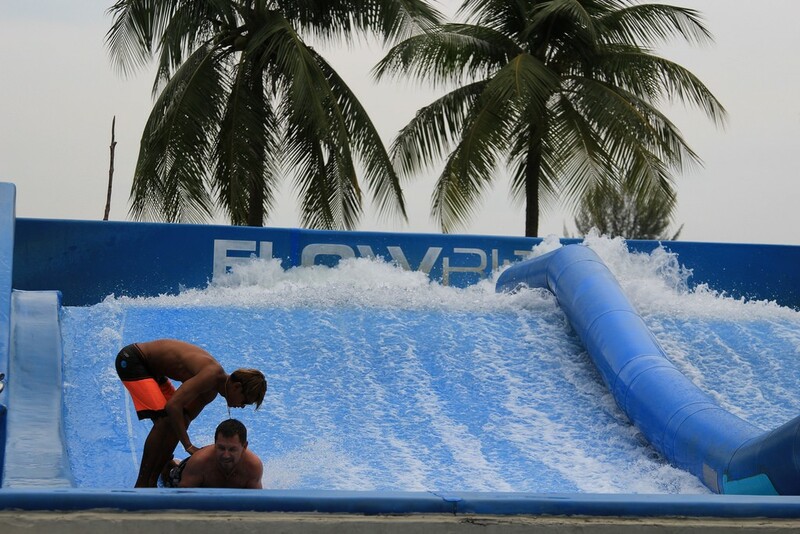 Now surfers can enjoy surfing on Wave House’s perfect 10′ FlowBarrel wave, which is already famous around the world. 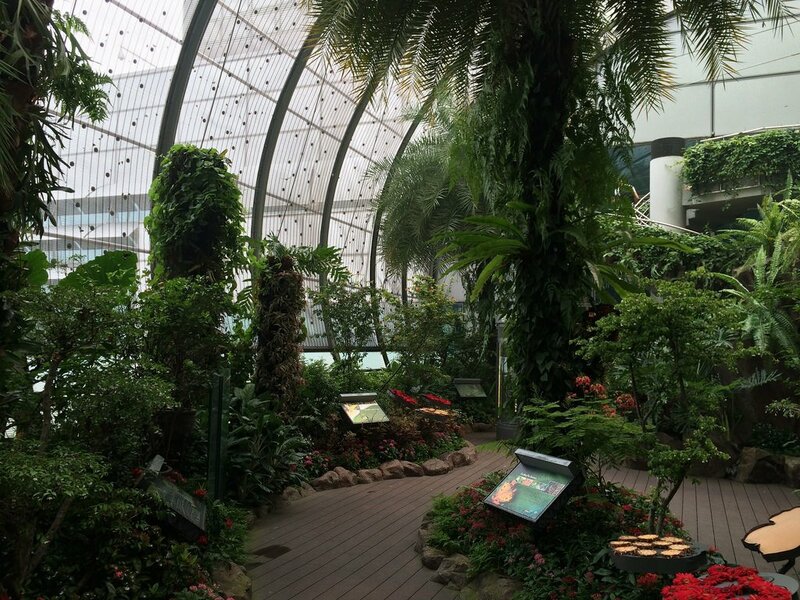 While you’re in Singapore, don’t miss out on the 40-meter walkway with scary see-through sections called Skybridge. You’ll have to walk along the Skybridge in order to get to the Paulaner Sundowner Deck for the best sunset views in Siloso. There’s also the Skywalk, a 181 meter long walkway on top of trees, at a height of 11 storeys. 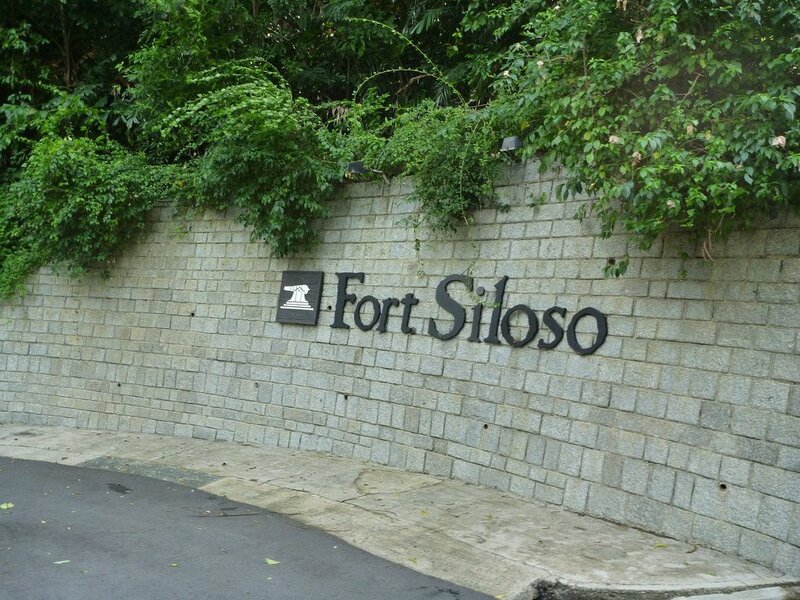 It’s a scenic trek among the treetops on your way to Fort Siloso. An avid trekker, explorer and a true foodie, Neha finds happiness in small endeavours of life and loves to pen them down as a cherished memory. A firm believer that “we have just one life to live and so much to do”, he lives every moment to the fullest.